The thing about being depressed is that your self-care goes to hell in a handbasket. So for the past few years I have looked a hot mess. A mess enough that close friends / some family might comment or make judgements (you know who you are), but not enough that outside people might make too much of a fuss (at least to my face). Since the move last month, things have really been going well for me mentally and spiritually. I am much more at peace and even the “bad days” are nothing compared to what they were in the old apartment. The one thing I hadn’t yet tackled was my hair… I hid it well (or not so well), under an array of scarves or pulled back styles, but it needed some TLC and I hadn’t built up the courage to face it yet. 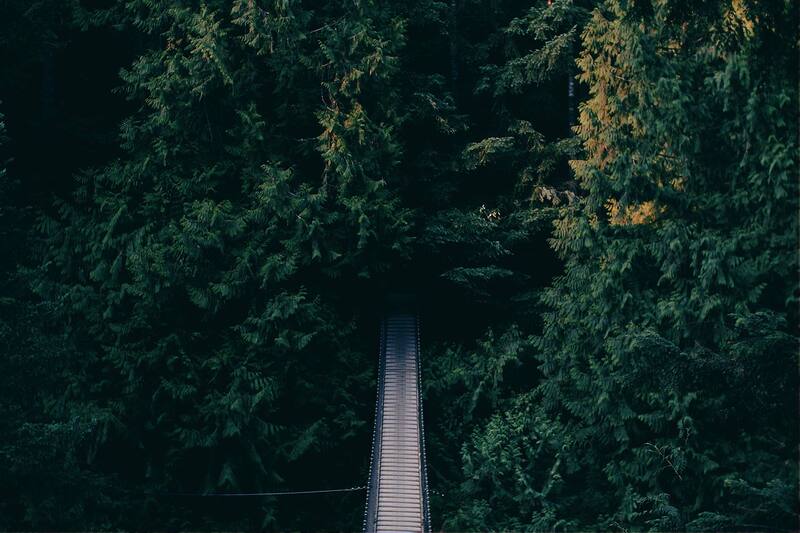 When I first went natural in 2004, the natural community seemed a minuscule portion of what it is now, so searching for what to do had a very underground feel. Now that natural is in, tutorials are everywhere and my friends have been my window to the world on this one as I have felt trapped in a time capsule or a closet with the kids since 2012. 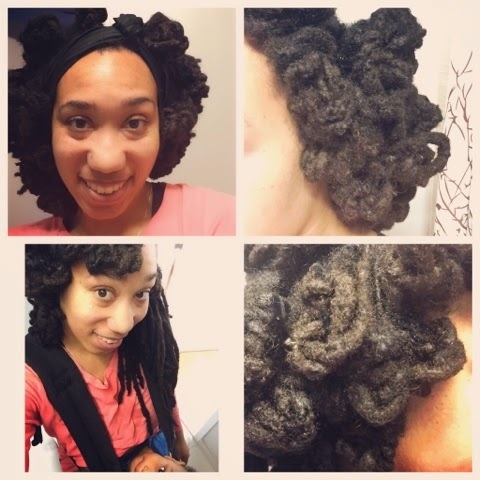 My search for what to do with my locs led me to YouTube and with the help of a friend, I was turned on to Chescaleigh! She was the breath of fresh air my hair needed to make a come back! So last week was the first of many “Chesca-inspired” posts on instagram. … I’ll say it for you, WHAT WAS I THINKING. Nothing against Carol’s Daughter, but Hair Milk is not designed to leave in your hair for say… Years…like most products it should be washed out. So the biggest issue my locs had was…is… buildup at the bottom. A loctician who used to come to my home and do my hair after I had my daughter was the first person who pointed it out to me. 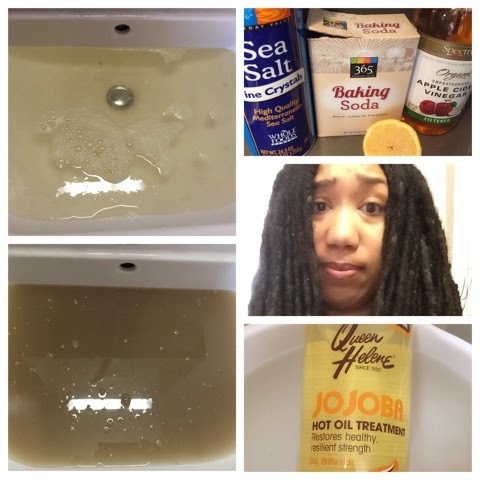 She began using her homemade products which did not leave a residue and smelled great. But, when things began to get tighter, my hair / self-care was the first thing to be sacrificed and I went back to a loc creme that I liked, but that my former loctician was convinced was the cause of my buildup. But moving has been my saving grace. After a month in a better physical space, my mental space was definitely heading in the right direction. Before diving into the cute styles Chescaleigh has on her channel, I needed a cleanse (which I also saw on Chescaleigh’s channel). I washed it the Sunday before the deep cleanse and spent most of that week un marrying sections of my hair!!! I could not believe (or could I), how much they were all loc-ing…in large families. I carefully thought about what I needed next and watched the cleanse video in utter horror and delight, imagining all that awful build-up leaving my locs. Post-cleanse, I decided that I was going to do a hot oil treatment and pipe cleaner curls! 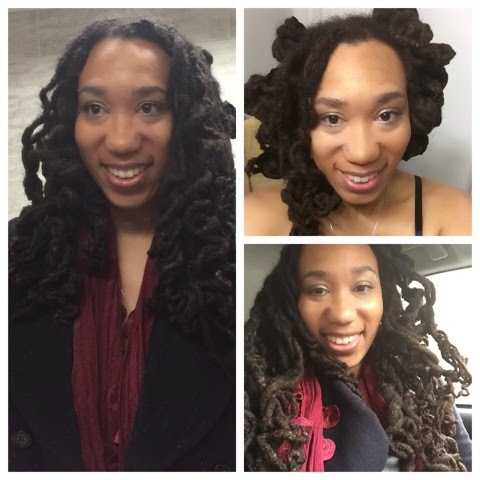 I had never heard of such a thing, but my new hair guru, Chescaleigh had a tutorial and the one time I had my locs curled at a professional salon (RIP: Turning Heads in Harlem), I LOVED THEM. After my Amazon order of 350 pipe-cleaners arrived the next day (Thank You Amazon, Prime), I was ready for a new look and a new lease on life! The cleanse was amazing and check-out my “murky water”. After my hot oil treatment it was time for the curls. I followed most of Chescaleigh’s advice, but sitting down and pre-twisting the pipe-cleaners was not realistic on a Saturday night with my two little ones. I usually crash at the end of the night, so I twisted the pipe cleaners as I went along AND I used the loop made when twisting the pipe cleaners in half to hook the other end of the pipe cleaner because my locs are SOOOOO long and SOOOOO thick (not necessarily the girth of each loc, but I have A LOT of hair). My curls looked more like balls than the thin rod-type set I have seen on most tutorials. Also as I went along, my daughter had some fun with the pipe cleaners! I definitely did not use all 350, so I anticipate some crafts later! I will also note that I twisted my hair WITHOUT PRODUCT and I couldn’t be happier! I used oil, but no loc creme. I will continue on this path as much as possible so that my future locs will be build-up free or at least have less build-up. For now, I am not going to cut it, my hair feels lighter and I can’t wait to try more styles from Chescaleigh’s channel. What are your favorite loc styles? Why you need IDNYC before the Summer begins!